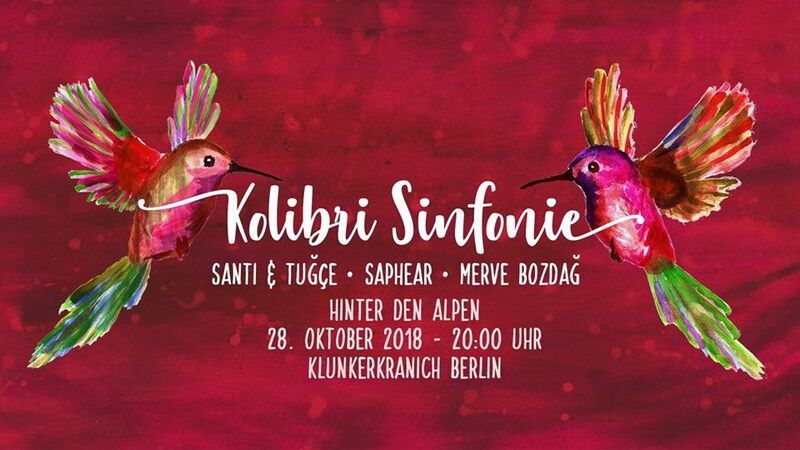 Kolibri Sinfonie is a monthly event happening at the top floor ‚Hinter den Alpen‘ at Klunkerkranich – organised and curated by the DJ-Violin duo Saphear formed of Chrystal Chris and Sawatzki. Cranes and hummingbirds couldn’t be more different. Cranes belong to the biggest and heaviest flying birds, while hummingbirds are the tiniest and lightest feathered creatures. Even their songs sound quite contrasting but exactly this spectrum of diversity makes a meaningful connection and combination.